There are plenty of activities you can do in and around Hermanus. If you enjoy sports and being outdoors, you’ll definitely find something you’ll enjoy here (incl. golf, tennis, scuba diving, hiking, surfing and cycling). There are also lots of cultural happenings too! 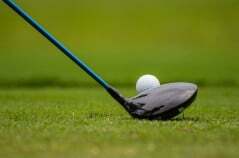 Golf is one of the most celebrated sports in Hermanus. The world-class golf courses include the Hermanus Golf Club and the Arabella Golf Estate. Furthermore, there are many quality tennis and squash courts. If you prefer aquatics you certainly won’t miss out. Aquatic sports include swimming, scuba diving, paddle skiing and kayaking. There are also amazing hiking trails, and horse riding routes. For those after something even more exciting – try paragliding or any of the other adventure sports. Hermanus is traditionally a superb cultural destination. There are plenty of Arts & Crafts to view and buy. It is also highly recommended that you book a township tour, which is a cultural experience you would not want to miss out on. You can also go on a trip on the magnificent wine route to experience the beautiful vineyards and to warm your palate with some of our famous wines. 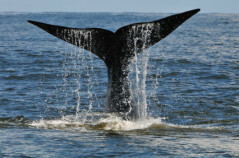 One of the most well-known attractions in Hermanus are the Southern Right whales. These amazing and peaceful creatures populate the Hermanus coastline between July and December and are best viewed from the Walker Bay look out points. If you are keen on relaxing, there are plenty of beautiful beaches in and around Hermanus. It is also highly recommended that you visit the tranquil Fernkloof Nature Reserve. However, one of the most popular activities is to take a gentle stroll along the ragged footpaths that run along the shore, through the town and also along the mountain side. If shopping is your idea of relaxing and having fun, there’s no holding back in Hermanus. If its action and adventure you are after, go cage diving with the ferocious Great White sharks! Or if you are looking for something not so thrilling, take a boat trip around the bay. The bird watching is also fantastic and there are many different species of beautiful and interesting birds. If you are looking for safari action maybe you also want to go to Tanzania? Tanzania has a lot to offer from wildlife to cultural safaris. It is time to visit this unique wildlife sanctuary. We can offer your Wildlife Safari Tanzania in Massai Mara and the Ngorongoro Crate and don’t forget the Serengeti.